In 1728, Royal Governor William Dummer arrived in Massachusetts with nine ‘goffe clubs,’ but it would be another 150 years before golf clubs formed in New England. To name the oldest golf clubs in New England is to invite controversy, however. Can a golf club claim to be the oldest if it started out as a boat or a tennis club and later added a golf course? We relied on the U.S. Golf Association’s list of the oldest golf clubs in America. However, we chose the oldest golf clubs in each state according to the year the golf course was built. Julius Caesar played a version of golf, but the sport took hold in Scotland in the 15th century. A craze for all things Scottish began after Queen Victoria built Balmoral Castle in 1856. The enthusiasm for golf spread to the rest of the British Isles, and then to the United States. By 1900, the U.S. had more golf clubs than the U.K.
Two of New England’s oldest golf clubs, the Newport Golf Club and The Country Club, met with three other new golf clubs in 1894 to form the U.S. Golf Association. Here we bring you the six oldest golf club in each New England state. If you know of older clubs, please share them in the comments section. 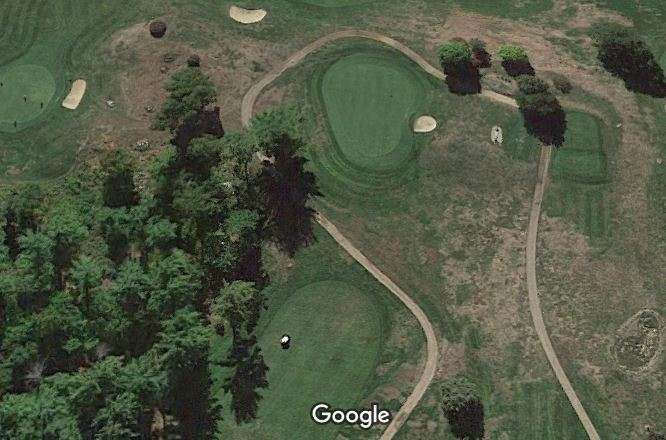 It should surprise no one that Connecticut has not one but two of the oldest golf clubs in the country: The Country Club of Farmington and The Greenwich Country Club, which started in 1892. 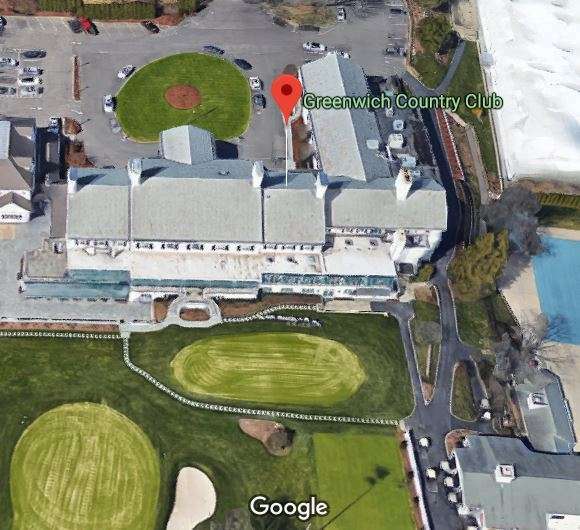 Thirty-two members formed The Greenwich Country Club in the wealthy, patrician town of Greenwich. The golf course started out with five rough holes, but grew to 165 well-manicured acres. George H.W. Bush met Barbara Pierce at a Greenwich Country Club Christmas dance, and his father and brother both served as presidents. A 1992 magazine article stirred controversy by exposing the club’s whites-only policy. Bar Harbor, Maine, once attracted Gilded Age socialites who found Newport, R.I., a little too stuffy. They formed the Kebo Valley Golf Club in 1888 in between Cadillac and Dorr mountains. Now the 6,131-acre course shares a border with Acadia National Park. 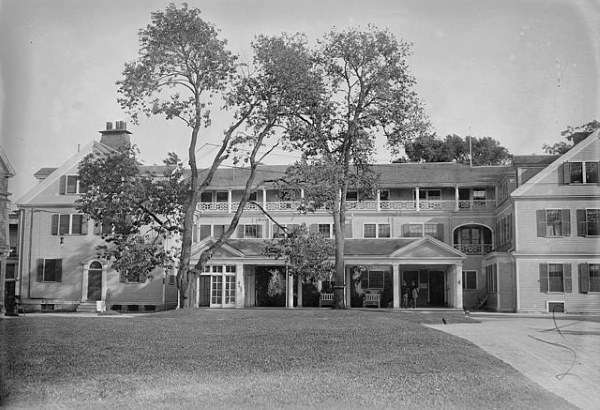 The club has attracted many famous business and government leaders, including President William Taft. In 1911, he famously shot a 27 on what is now the17th hole, also known as the 'Taft' hole. America's first country club is aptly named The Country Club. The exclusive Brookline, Mass., club helped found the United States Golf Association and has hosted 16 USGA tournaments. The original club focused on horseback-riding and tennis. Then three club members laid out the first six holes in March 1893 and expanded to nine the next year. The primitive course overlapped with a race track. Today The Country Club has 1,300 members (including Tom Brady) and 27 golf holes. The original 18 holes make up the Main Course, used for the 1913 U.S. Open. In that contest, an unknown caddy who grew up across the street from the club defeated two British Open champions. Heavy press coverage of 20-year-old Francis Ouimet caught the public’s fancy. Golf subsequently spread to the middle class, and the number of golfers tripled over the next decade. . The Exeter Gun Club was playing golf at its current location in New Hampshire at least as early as 1889, when it was called Eddy’s Links. But not until 1895 did the Exeter Golf Course form. Five years later it renamed itself the Exeter Country Club. The club got new members from nearby Philips Exeter Academy, which had a five-hold course nearby. The golf course closed and its golfers went to the country club. The original clubhouse, built in 1900, fell to a tornado in 1953. Manny Francis, who developed 'Vesper Velvet' putting surfaces, redesigned the course in the 1950s. Today, the club boasts of its ‘big course playability’ without the crowds, pretense or cost. Golf came to Rhode Island after Theodore Havemeyer, an heir to the American Sugar Co. fortune, played a round in 1889 the south of France. He returned to Newport and in 1890 convinced several of his rich friends to play the game on rented farmland in 1890. Three years later, Havemeyer talked John Jacob Astor IV, Perry Belmont and Cornelius Vanderbilt II into buying a 140-acre farm for $80,000. 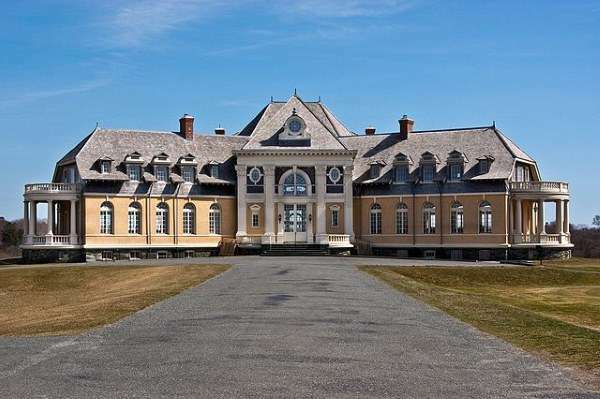 They built a nine-hole golf course and an elaborate Beaux Arts clubhouse, then formed the U.S. Golf Association. The Newport Country Club held the first U.S. Open in 1895, awarding the winner the Havemeyer Trophy. On its centennial anniversary, Tiger Woods won the U.S. Amateur Championship. Dorset, Vt., has several claims to fame. Cephas Kent’s Inn is where the Dorset Accords were signed, leading to the Vermont Republic. 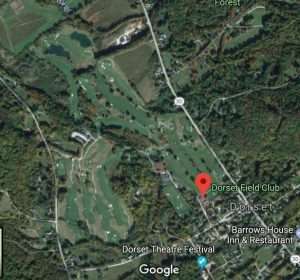 It’s the birthplace of Bill W., who founded Alcholics Anonymous, and home to the oldest marble quarry in the U.S. and the oldest golf club in Vermont. 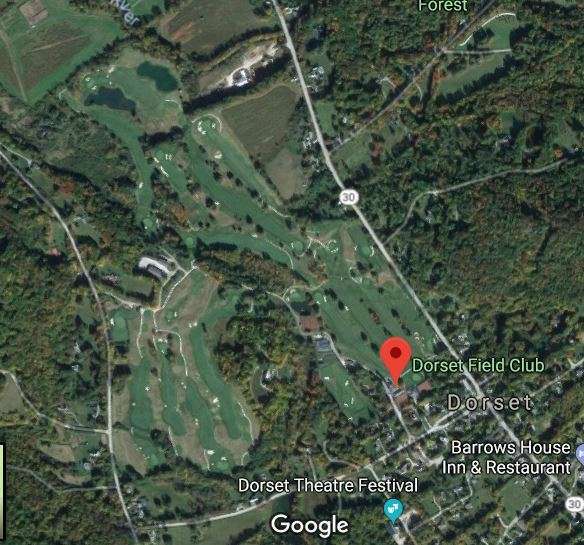 The Dorset Field Club sits in the valley of the Green Mountains, and claims to be the oldest continuously operating golf course in America since its establishment in 1886. The club, situated on 155 acres, has 460 seasonal and year-round members. Its fifth hole, called the Dell, was based on an iconic hole in Ireland at the Lahinch Golf Club in Ireland. Google images of the oldest golf clubs courtesy Google Maps. Grindstone Neck Golf Course in Winter Harbor, Maine was founded in 1891.